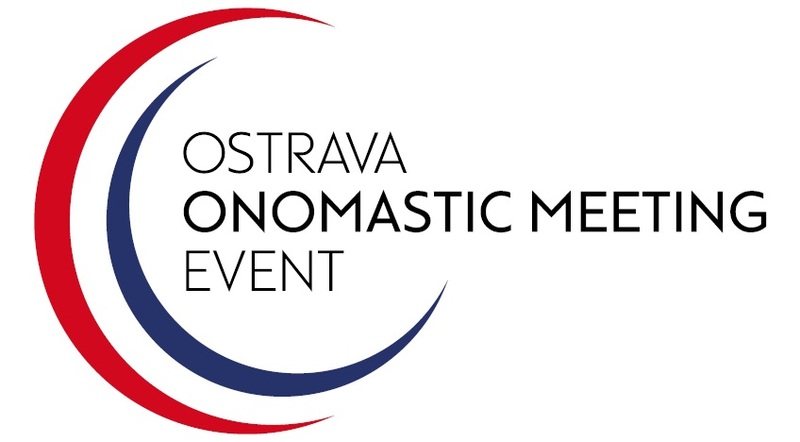 the conference committee, and the local organizing committee have the honor of inviting you to take part in the 2nd Ostrava Onomastic Meeting Event (2. ostravské onomastické setkání; OOME), which will be held in Ostrava, Czech Republic, from April 23 to April 24, 2018. The first OOME conference was held in October 2015, and the book Toponyma – kulturní dědictví a paměť míst (Toponymy – Cultural Heritage and Place Memory, ed. Jaroslav David; abstracts available here) was published in September 2016. The first OOME conference in Ostrava focused on place names as a part of cultural heritage and local history, and the success of this event inspired us to organize the second OOME conference, which will be held in 2018.
if you need further information, please contact Lenka Krahulcová. Please include your surname and the abbreviation OOME in the subject line of your e-mail. The conference language is English. The authors are responsible for the content and language of their papers. Presentations of papers should not exceed 20 minutes; PowerPoint presentations are required. The deadline for submission of abstracts is December 17, 2017. You will be notified about the acceptance of your paper no later than January 17, 2018. All participants whose presentations are accepted must pay the early-bird fee (the payment must be received no later than February 28, 2018) in order to be included in the conference programme. We plan to publish a book containing papers that are accepted for the conference. The deadline for submitting the final versions of your texts is June 30, 2018; the guidelines for authors are available here. The payment is ONLY accepted in CZK or in EUR (updated February 8, 2018). Please include your surname and the abbreviation OOME in the description of your payment; this will enable us to match the payment with your registration. The payment is ONLY accepted in CZK or in EUR (updated February 8, 2018). Please ensure all bank transfer fees are covered by the payer. Map of the city centre. 1) From the train station Ostrava hlavní nádraží by public transport: Exit the train station. Take any tram and go to the Stodolní tram stop. 2) From the bus station Ostrava ÚAN by public transport: Exit the bus station. Take the trams 1, 2, 8 (direction Hlavní nádraží) or the tram 11 (direction Hlučínská) to the Stodolní stop. 3) From the Leoš Janáček Ostrava Airport by public transport: Take the train (direction Ostrava hlavní nádraží/Bohumín) to the station Ostrava hlavní nádraží. From there, take any tram and go to the Stodolní tram stop. 4) From the Václav Havel Airport Prague by public transport: Take the bus line 119 (direction Nádraží Veleslavín) to the underground station Nádraží Veleslavín. From there, take the underground Line A (green; direction Depo Hostivař). At the station Muzeum, change for the Line C (red; direction Letňany) and go to the station Hlavní nádraží. Exit the underground station and take the train (direction Ostrava hlavní nádraží/Bohumín) to the station Ostrava hlavní nádraží. From there, take any tram and go to the Stodolní tram stop. Here, you can see the Czech public transport system.